The winds are blowing in from the east and providing us with amazing warm weather to enjoy our Oregon Coast beaches. It was in the 80s today! 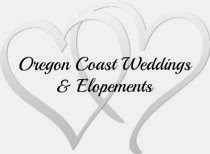 Here at Sandlake Country Inn bed and breakfast, we are fortunate to have one of only two major estuaries designated as a "natural" estuary by the state of Oregon. The Sandlake Estuary is only about a mile from us. If you've never been there, it sometimes can seem like you're on another planet. Check out our interactive map where you'll be able to click on the satellite option to see our location and the estuary. It seems that every time we take a walk out there, the landscape changes. When the tide is high, it very much looks like a lake. When the tide is low, it's a whole other world. Enjoy exploring this area and very often you will be wondering where all the people are. There is an abundance of wildlife. Last time we were there we looked up and a magnificent bald eagle was perched high on a tree. Take time to walk the soft sandy beach around the dune and out to the ocean's surf. On a day like today, be sure to bring your sunscreen! 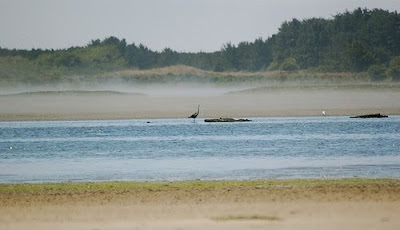 click here to view a video of Sandlake Estuary from Oregonwaters.org and see the beauty for yourself. Our location is perfectly situated to explore not only the estuary, but just a 10 minute drive will take you to one of the most beautiful hikes on the Oregon Coast. The Cape trail at Cape Lookout is a 2 1/2 mile (5 miles round trip) incredible hike with breathtaking views of both the north and south of the cape. The trail ends at the tip of Cape Lookout and it's definitely worth the effort. The whale migration season is in full swing in December and if the weather is good, Cape Lookout trail will be a perfect location to see them. Come and enjoy our beautiful weather at our Oregon Coast Bed and Breakfast to experience this amazing coastline without the tourist traps. If you appreciate being away from the noise and hustle and bustle of the city, give us a try. It's a nature lover's paradise along the 3 Capes Scenic Route. Enjoy Ethnic And Regional Entrees Featuring Gourmet Seafood And Vegetarian Selections at the North Coast Seafood Festival October 3 & 4. The event is held indoors at the Tillamook County Fairgrounds. Keep in mind that it's a small community event, but if you're in the area, check it out!